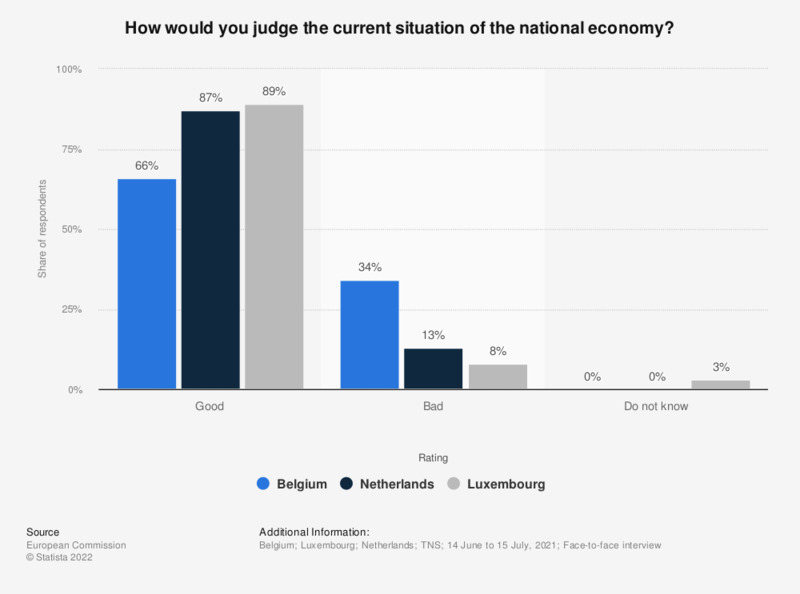 This statistic shows the evaluation of the public opinion of respondents from the Belgium, the Netherlands and Luxembourg (Benelux) on the economic situation in their respective countries in 2018. In November 2018, 67 percent of the respondents in Belgium reported they think their national economic situation is good. * This question was phrased by the source as follows: "How would you judge the current situation in each of the following? The situation of the (NATIONALITY) economy". How would you judge the current situation of the Swedish economy?